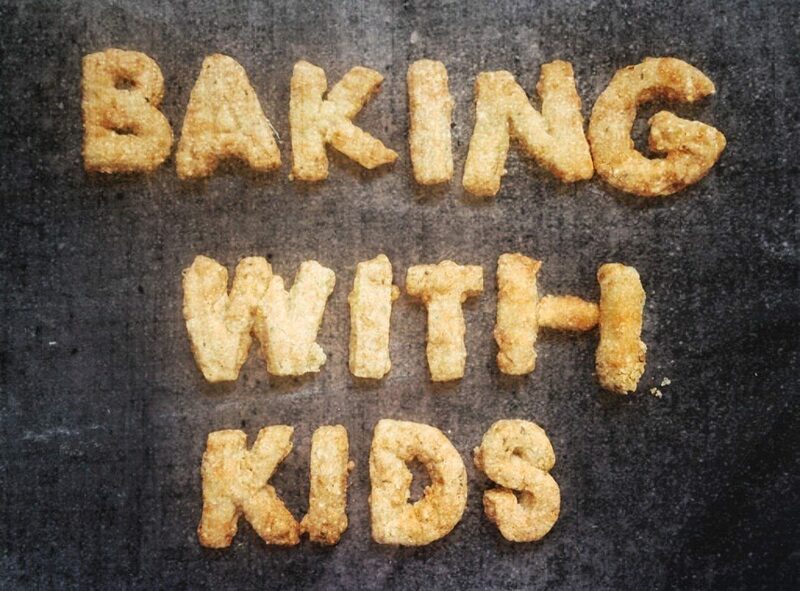 Messy screen-free fun for toddlers with the added bonus of baked goods! You will need 2 x 7″ sandwich tins lined with baking paper or well greased. Preheat the oven to 180°C Gas Mark 4. Beat in the sugar follwed by the eggs. 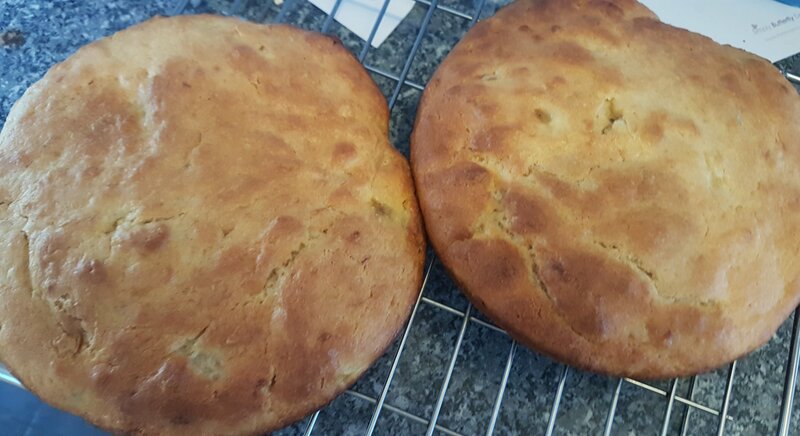 Pop the flour in and stir until just combined- add a splash of milk to loosen the mixture then divide into the sandwich tins. Bake for 15-20 minutes or until risen and golden. While cooling, make your buttercream. Beat the butter and icing sugar together until pale and creamy. Swirl 2 tablespoons of jam through the buttercream. 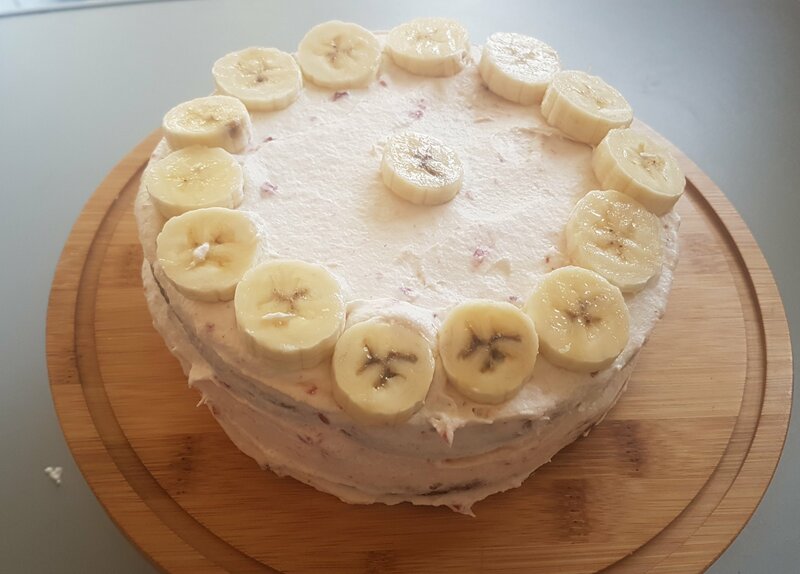 While you assemble the cake your little person can slice the banana with a blunt knife- this is an ideal introduction to knife and cutting skills. Trim the top of one cake to get a flat surface and spread with a layer of jam. Top with a layer of buttercream. Place the other cake on top of the first- upside down so that the flat side is on top. 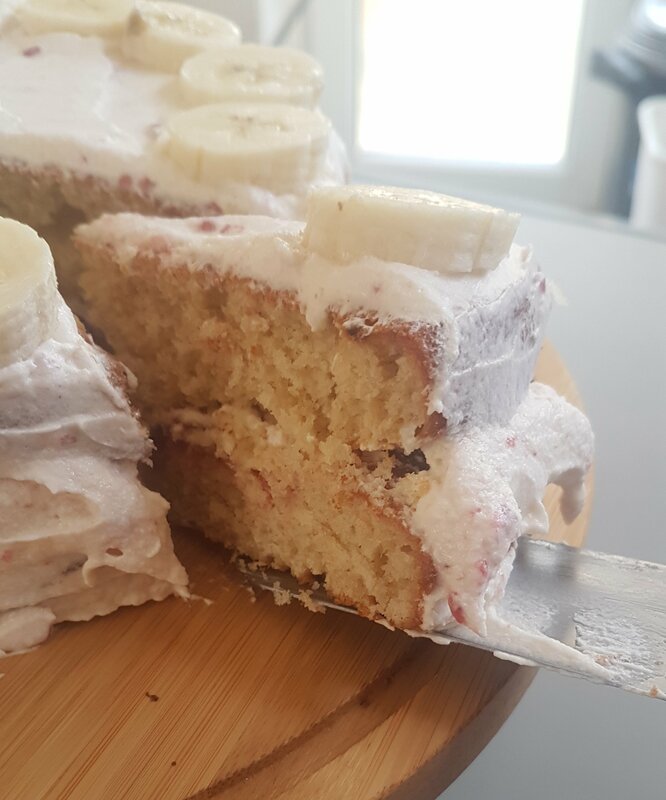 Coat with the remaining buttercream and sliced banana. Previous Previous post: What the Fudge? In an attempt to keep the kids happy and quiet I’ve found we spend at least an hour a day in the kitchen. If its not baking its another form of messy play or splashing about with the sink. 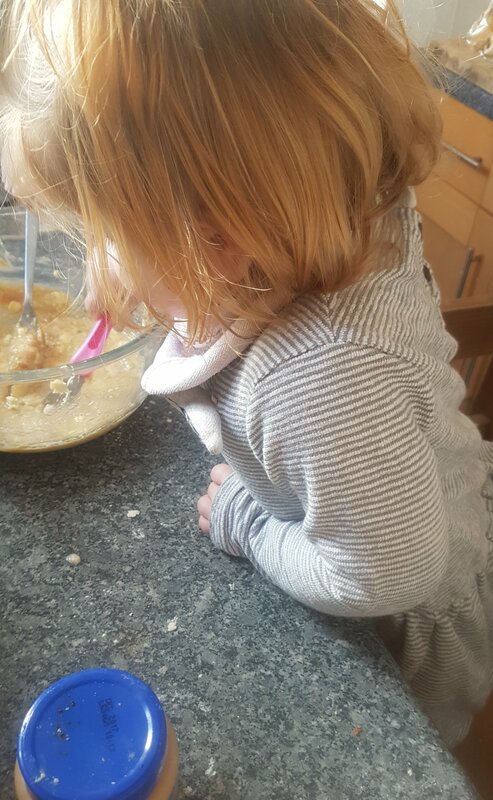 At best baking with kids is a stimulating and diverting screen free activity which encourages sensory development and aids knowledge of cause and effect, increases curiosity and is an all round brilliant way to enhance cognitive skills. Easter Egg (and odd-shapes) Macarons 🥚🥚🥚🐇🐣🍭🎉 It's pretty tricky trying to make oval macarons freehand when your 33 and near impossible when you're 4 so I'm hoping you'll overlook the randomness of these macarons. We made them as per the recipe below and decorated with some Easter sprinkles and edible pens 😊 Whisk 2 egg whites until white and able to hold a shape when whisk is lifted, gradually whisk in 75g caster sugar (see video left) and blob of food colour paste of your choice (try to avoid liquid colours here) Mix 100g ground almonds with 150g icing sugar to work out any lumps. Stir this mixture into the eggs until you have a thick runny mixture. Pipe onto 2 lined baking sheets and sit for 45 minutes or until the tops have filmed over. Bake at 140°C for 10-15 minutes or until they lift up cleanly from the sheet. We sandwiched these with good old fashioned vanilla buttercream!